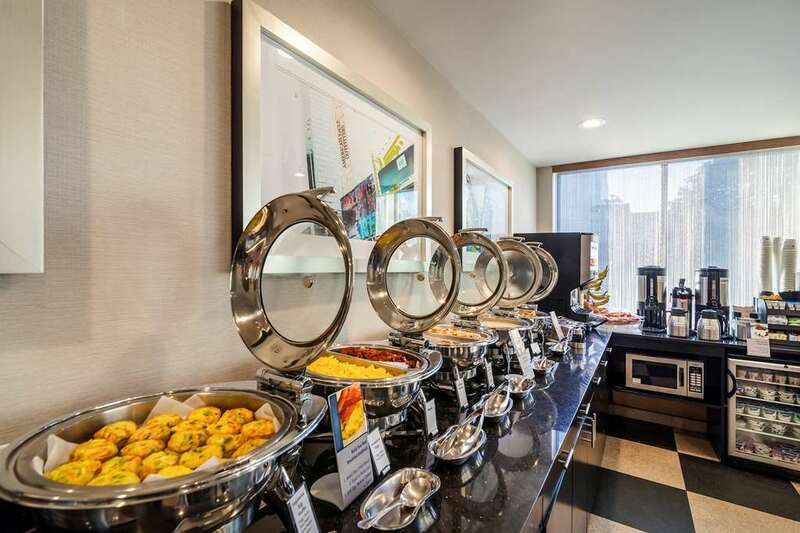 Choose this fine hotel in Long Island City, New York hotel offering convenient access to a variety of nearby Manhattan attractions. Welcome to the Best Western Plus Plaza Hotel, where guests will find friendly customer service and superior accommodations at an affordable price. Located just five minutes from Manhattan and New York, this Long Island City hotel features well-appointed guest rooms with cable satellite television and free wireless high-speed Internet access. Guests staying at this 100% non-smoking hotel will enjoy a variety of amenities including a complimentary full breakfast, and a 24-hour fitness center. The Best Western Plaza Hotel offers convenient access to a variety of nearby Manhattan attractions including the United Nations Building, the Museum of Modern Art and the Broadway Theater District. Guests staying at this New York hotel will also enjoy visiting Times Square, the Rockefeller Center, Central Park and Madison Square Garden. The Best Western Plaza Hotel is also close to several subway lines as well as La Guardia Airport, only five miles away. The friendly staff at the Best Western Plus Plaza Hotel is ready to ensure a memorable stay in Long Island City. Make a reservation today and save! Enjoy your stay. Dena's Coffee Shop: 0.50 mile(s) from Dena's Coffee Shop, Coffee Shop, American, Open for: breakfast, lunch, dinner, local coffee shop with homemade servings. Uno's: 1.20 mile(s) from Uno's, Full Service, American, Open for: lunch, dinner, Chicago style deep dish pizza. Water's Edge: 1.10 mile(s) from Water's Edge, Full Service, American, Open for: breakfast, lunch, dinner, full Service restaurant overlooking Manhattan skyline. 5 Star Punjabi: 0.50 mile(s) from 5 Star Punjabi, Full Service, Indian, Open for: lunch, dinner, traditional Indian restaurant. Copacabana: 0.50 mile(s) from Copacabana, Full Service, International, Open for: lunch, dinner, full service Brazilian restaurant. Queensbridge Park,0.10 mile(s) from Queensbridge Park, Local Long Island City Park.